There's a high-schooler standing on a podium and warming up the high school band. This high-schooler thinks, "This is a cool place to be. I like it here." Move ahead about 10 years, and that high-schooler is standing on the podium of the Minnesota Orchestra getting ready to conduct his first subscription concert. That's the story of Roderick Cox. 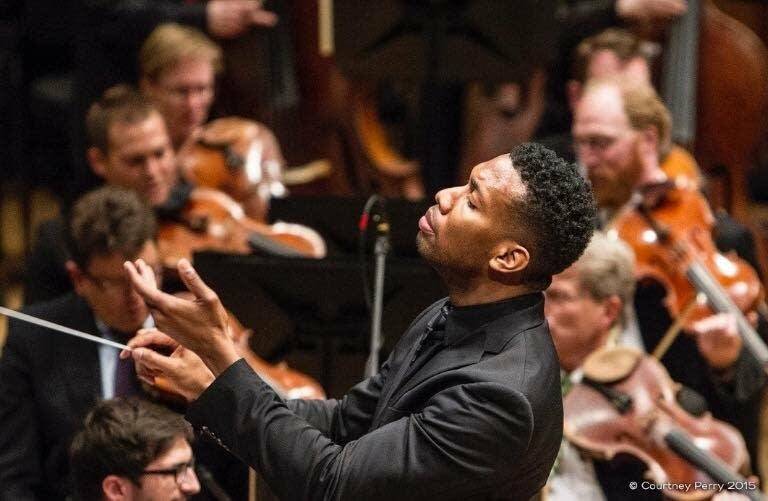 Roderick Cox is the Associate Conductor of the Minnesota Orchestra. How does he prepare for his performances and what does he see as the prime mission of a conductor? Cox shares a few thoughts on conducting — along with some of his favorite orchestra pieces — as Steve Staruch's guest on Music with Minnesotans.